The US federal government’s slow response to Hurricane Maria has been deemed “woefully inadequate” since the Category-5 hurricane made landfall in Puerto Rico last September. With most of the built environment destroyed and many residents still without electricity over 100 days later, the US Federal Emergency Management Agency (FEMA) is now in hot water for awarding the largest direct meals contract of the 2017 hurricane season to one woman with no large-scale emergency experience. This disastrous FEMA misstep involves a $156-million contract for 30 million meals awarded to Tiffany Brown, the sole owner and employee of Tribute Contracting LLC. This award was made despite her lack of experience and a trail of at least five cancelled government contracts. 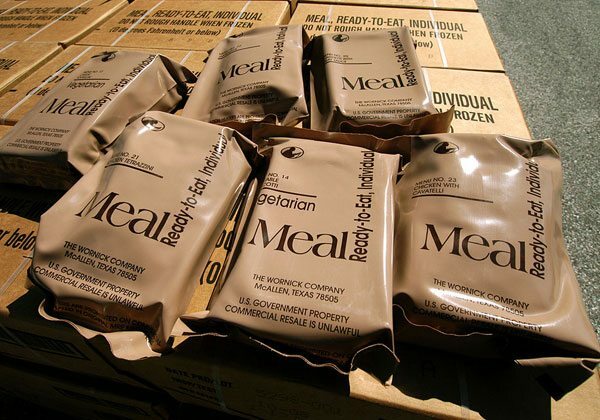 The FEMA solicitation was for “self-heating meals,” so when Tribute delivered 50,000 meals packaged separately from their heating pouches, FEMA cancelled the contract, citing the logistical nightmare of repackaging them. Brown, who claims that she could have completed the delivery of the entire order two weeks past the deadline, admitted, “They probably should have gone with someone else, but I’m assuming they did not because this was the third hurricane” after Hurricanes Harvey and Irma. Now, Democrats on the House Oversight Committee say Tribute’s contract history should have given FEMA “serious pause about awarding the company a huge food contract.” After all, this is not the first time that Tribute has reneged on a contracted commitment; the government has canceled Tribute contracts on at least five occasions. Four cancellations involved the federal prison system, when Tribute failed to deliver food products to various correctional institutions, and a fifth termination involved Tribute’s failure to print the Marine Corps logo on both sides of 3,000 tote bags for the Government Publishing Office. Furthermore, Tribute was awarded 14 contracts totaling more than $80,000 from 2014–15, and the company “routinely delivered late,” a 2015 report submitted to Congress said. So, how is it that such a large government contract could be awarded to such a small company with such a tainted record? Brown claims that FEMA was just “trying to fill the orders the best they could” in the wake of a series of unprecedented natural disasters that reduced federal contracting options. While Brown and others claim to just be doing the best they can, there are those who are drawing parallels between the federal government’s response to Maria and to another infamous hurricane, Katrina. This is not the first time that FEMA has failed to meet the challenges posed by a natural disaster. The agency has faced intense scrutiny since its inception in 1979, perhaps most harshly during Hurricane Katrina. The sluggish response to Katrina in 2005 spurred similar questions to those being asked now in the wake of Hurricane Maria, such as whether FEMA is adequately prepared to respond to disasters and about the way the federal government responds to disasters that largely impact communities of color. After Hurricane Katrina, a bipartisan congressional investigation found that “failure to secure advance contracts led to chaos and potential for waste and fraud.” FEMA’s failure to line up potential contractors in advance of Hurricane Maria led to the same scramble to award multimillion-dollar agreements in the middle of a crisis. It also created opportunities for corruption, like in the case of Whitefish, and has eroded trust in government. Like Katrina, whose victims were concentrated in poor communities of color in Louisiana, Hurricane Maria’s victims are people “othered through racial and ethnic bias.” Additionally, in the case of Hurricane Maria, Puerto Rico residents lack voting power in federal elections. To make matters worse, cuts to FEMA’s budget were proposed shortly before the hurricane, including reducing funding for programs initiated post-Katrina to help governments predict and prepare for emergencies.